The 17th Annual Laboratory Design Conference will be held on April 23-25, 2018, in Downtown Philadelphia! 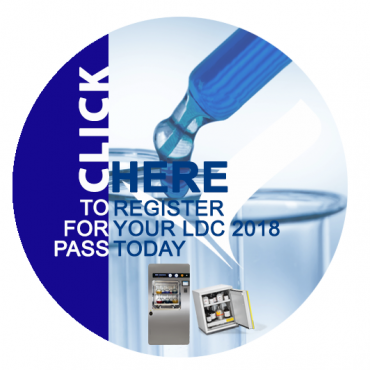 Since 2002, the Laboratory Design Conference has provided a dynamic educational and networking event for those involved in planning, designing, engineering, constructing and operating laboratory facilities. Informative panels and sessions feature lab design experts delivering unique presentations on trends in creating the most efficient, state-of-the-art facilities. Do you work in the world of laboratory design and planning? Then this conference is for you! Take advantage of this unique opportunity to network and meet with associates, service providers and buyers. Witness the official announcement of the Laboratory of the Year winners, and get involved in in-depth discussions with the winning project teams to help propel your laboratory to the next level. Tours of the newest, ultra-modern labs occur post-conference. The modern research laboratory is rapidly evolving to include technologies that weren’t conceivable just a few years ago. This session offers a detailed explanation of strategies imagined by leading life science companies to incorporate robotics, artificial intelligence and machine learning into their research environments. Contemporary science facilities are increasingly integrating formal and informal interaction and collaboration areas. This session will explore the variety of ways academic institutions have planned their science facilities to respond to this growing trend, and provide objective data on the results of recent projects. Learn about the challenges and benefits of collaboration spaces. …and more! Visit STEQ America at Booth 18. We’ll have some of our best safety storage cabinets on display, and will be hosting the product experts from DÜPERTHAL and Matachana USA, who will be ready to answer all your safe storage for hazardous materials, and steam sterilizer questions. Registration for this event is now available.